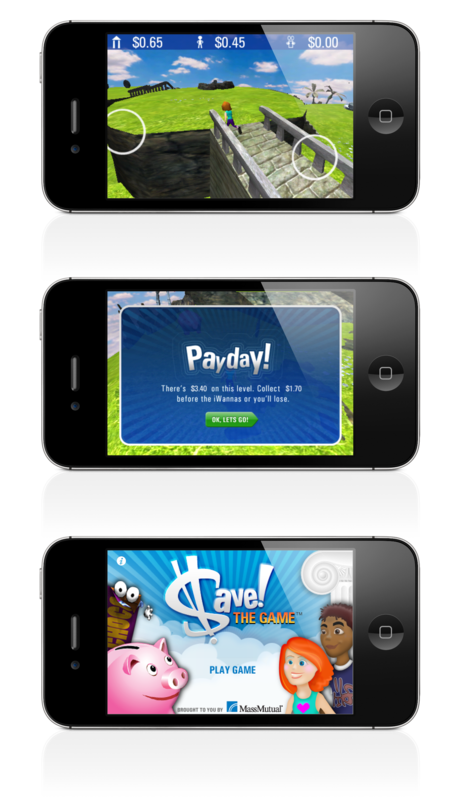 Developed as an entertaining game branded application, the Save! The Game app from Mass Mutual is also an instructional tool to teach children the value of saving money. Users can run, jump and dodge their way through a fantastic world collecting all the virtual money they can find before time runs out. - Nick Fyntrilakis, Assistant Vice President, Corporate Responsibility, Mass Mutual.